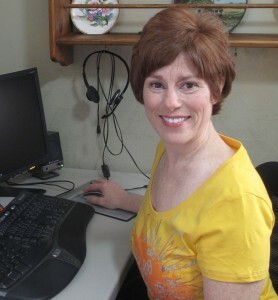 I recently had a conversation with blogger and network marketer Debby Beachy. Her blog was just featured on the top 50 MLM blogs of 2010 by that MLM beat.com. Debby has been in network marketing since the mid 1980’s, and has seen the industry change and grow in fascinating ways. Listen to the interview below to hear how Debby leverages Facebook and Skype to attract an international network. She has great insight into the power of good content and how to stay ahead by using that original content to build and develop relationships. To contact Debby or to find out more about how she is using social media to build and grow her network marketing business visit debbybeachy.com. Do you want to talk a little bit about what initially attracted you to network marketing? Well I have been in network marketing since the mid 80’s, so I have always believed in the business model of network marketing, can’t be anything better than people to people. The problem that I had was even back in the 80’s was it was really hard to connect with people, to find people, that’s what brought me on the Internet two years ago, I have been on the Internet now for two years really harnessing the power of the Internet now to build my international business. Harness the power of the Internet, it’s a great tool, it’s a great tool. I encourage everybody to get out there, because of that I am now currently building an international business team of leaders. Is there any steps you take to move things from a conversation to a strong lead, or to something more business related? Yeah, I mean, lots of times it just starts off with just connecting and getting to know each other, and then it could end up to right here, to talking on Skype. Many times it leads to something much more personal, and that’s a Skype conversation, or many time you could hand them a link if they want to know more about you or what it is you are doing, you can give them a link where they could go open it up and check out what it is you are doing. But I really prefer Skype, I prefer the personal kind of, this makes it more real, you get to see the real person, not just a little profile picture or a few chat words or this or that or comments, so. You do have to pick up the phone, or get on Skype. You, you do have to connect with people, it is a relationship building type of a system. And when they, when people connect with you and the get to know I can trust you, that’s when you can really start talking business, and is what I’m doing right. Can you tell me a little bit about what you call the slight edge effect, and what the means in you day to day life? Sure, yeah, slight edge effect, I love this because the slight edge is just kind of dripping, dripping, dripping your content, working the slight edge every single day, having a routine that you do every day even when it seems like no one is paying attention because the Internet is massive, it’s huge, and there are lots of people out there, so to get out into the crown of people, to get out there and stand out, you have to be dripping content all the time, consistently. This is your work, this is your daily task, that is working the slight edge, and then teaching your new partners to do the same thing, working the slight edge every single day. You keep that up, in time you will be noticed and people will start wanting to connect with you. So that principal is based on having strong content? Content, you see the slight edge can work both ways for you. Just so you understand, it’s like a table, it’s like, the slight edge can go up like this, or the slight edge can go down like that. It can go up or it can go down, it depends on you, and of course we want that slight edge to go up, and that is the content, the good content that you put out there, but let’s say you decide, well, “I don’t feel like working today”, or “I don’t want to put a video out today”, or “I don’t want to write on my blog”, or “I don’t whatever, whatever, whatever”, “I can do it tomorrow”, well then that slight edge right there just went down a notch. And then we are on the next day, which is tomorrow, we are on the next day, “well, I really had planned on putting my content out there but now I forgot I have go this lunch appointment and I got to go”, now two days down, slight edge goes down just a little bit more. And you keep doing that and over a while, and you are just going to keep going down and down and down. So it works the other way for you are well, it can go up and up and up if you continue every single day. You know, working your plan and planning your work, getting out there. So talking about having a Facebook page for your business, you feel like you have a pretty good handle on that and that your company is offering you the freedom to do something like that? Oh yeah, our company, yeah we have a, my company is, we use the Internet, our company is based for the Internet, and so yeah, having a fan page is good and everything like that is good, and I know some of the older companies that have been around for thirty years that, started out at the grass roots, I call it the grassroots marketing, kind of the face to face where we did not use the Internet at all, to connect to people, some of those companies have a hard time, and even have in their policies and procedures where you can not use the Internet at all to connect with people. What everybody needs to move into the Internet, is you must have a system. I think if you try, by yourself, to get in on the Internet and start to gain and audience without a system behind you, I think you are setting yourself up for a difficult time. I don’t believe in buying leads, I don’t think buying leads works personally, I don’t buy leads. I have been in, since I have been on the Internet I have been in all sorts of lead generating systems, which is basically affiliate marketing and you buy all their affiliate programs and you bring them in and and you buy some of the affiliate programs and you might get some very tiny little affiliate commissions, but non of them ever really want your business. And the whole thing is that you are supposed to bring them into this system, and you never have to talk to them, wha la!, there is a video sitting right there for them of your company, they sign up for the company, and you catch them on the back end, and all this kind of stuff. I have been in all those, they are not duplicatable, and you are spending far more money than what you make. I am an attraction marketer, I believe in connecting with people and building relationships, and that’s why I talk about working that slight edge.